The RRA Clubhouse, located at Beach 1 (13 Roaming Rock Boulevard) is used as a meeting place for many of the Clubs and Groups in Roaming Shores. One of the many benefits to being a member of the RRA is the ability to rent the Clubhouse for meetings, parties, and events. The Clubhouse is very spacious at 3,500 sq. ft. which includes a large meeting area, a fireplace, and a kitchen. Its location offers some of the best views of Lake Roaming Rock! Guests of the member who rents the Clubhouse are permitted to use the facilities located on Beach 1, this includes swimming at the beach and/or the swimming pool (weather permitting). The Clubhouse capacity is approximately 180 sitting and 300 standing. Rental is $225 plus a $100 security deposit. You may begin setting up for your party at 9am the day of your party (in some cases, you may be permitted to set up the day before if the Clubhouse has not been rented or is in use). Music must be off by midnight and the Clubhouse must be cleared by 1:00am. Please call the office (440) 563-3170 to confirm availability. Clubhouse is rented on a first-come, first-served basis. $100 security deposit required to hold a date. The Quilting Group will meet at the Quilting Block on Route 45. 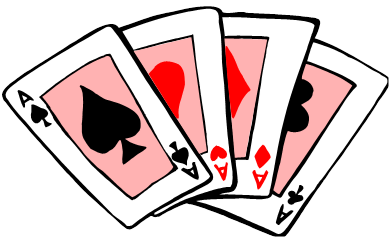 Join the Shores Hold'Em Club for an evening of fun playing a variety of card games. The group meets the 1st and 3rd Friday of the month at the Clubhouse @ 7pm. Come join your Friends and Neighbors as we dine at a local restaurant. The Clubhouse has been rented for a private event. The Lake Management Committee will hold a monthly meeting at the RRA Office. Ballots received after 1pm today will be invalid. The Annual Meeting is the biggest RRA Meeting of the year. The results of the election will be announced, the Treasurer’s report for fiscal year 2018 will be presented, the Directors will report on activities of the past year and plans for the current year. Refreshments and lunch will be served following the meeting. Please make an effort to attend as the growth and success of our association depends on the active participation of its members! The Office will close at 11am to set up for the Annual Meeting and will not open until an hour after the Meeting is adjourned. Today is the deadline for Dues and Assessments. A 10% late charge will be applied. Current Boat Decals and Lot # are required on ALL motorized Watercraft that are in the water or docked. Cleanup Day is your opportunity to get rid of your “unusables”. This event is FREE to residents of Roaming Shores Village. There is NO LIMIT on loads, however, no commercial or landscaping vehicles will be allowed. After you’ve finished up with Cleanup Day, stop by the Clubhouse between 9am and 1pm for Expo ’19. The Expo is your opportunity to meet with local businesses one-on-one. Join Ladies Golf as they kickoff the golfing season with a brunch at Hemlock Springs Golf Course. 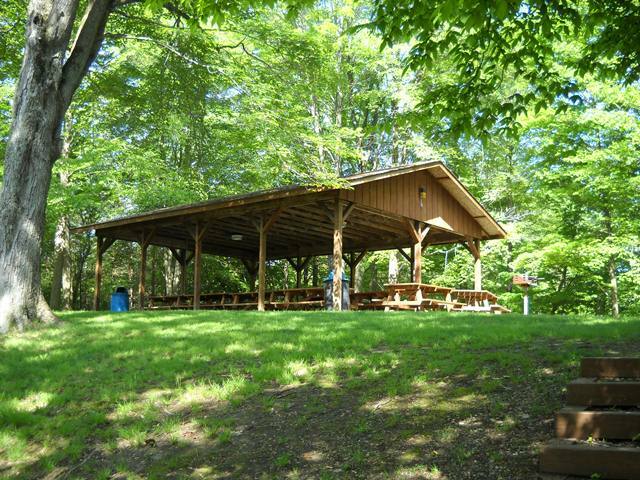 The large picnic pavilion, located across the covered bridge near Beach 1, is also available to rent. It is the only picnic pavilion that may be reserved in advance. Rental is $50. Please call the office at (440) 563-3170 for availability. If you will be bringing more than nine guests to either the beaches or the pools, you will need to fill out and return a party form to the RRA Office. Please return your form 10 days prior to your party if you will be using the pools. Pavilions are first come, first served. 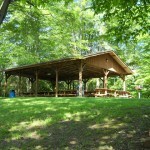 Only the pavilion located across the covered bridge at Beach 1 may be rented.